If you need to install a whole new unit, you can trust our qualified and well-equipped technicians to handle the job. We can also conduct small repairs and maintenance on a regular basis to ensure a comfortable environment for your home or office. 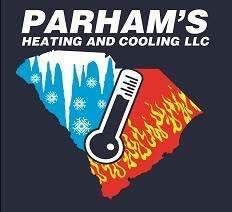 Call Parham’s Heating & Cooling today because we’re confident that a brief conversation with us will let you know firsthand that you'll benefit from working with our HVAC contractor. We assist home and business owners throughout Enoree and the surrounding areas. We’re proud to have built our reputation on professionalism and honesty, and we look forward to extending our services to you. Call 864-715-3204 To Schedule An Appointment Today!